Here is what we know for sure. In late August 1929, the Spanish poet Federico García Lorca took an overnight train from New York’s Grand Central Terminal to Burlington, Vermont, en route to the tiny village of Eden Mills, Vermont. There the 31-year-old Spaniard spent ten days at a cottage beside Lake Eden with his friend Philip Cummings, a 22-year-old Vermonter he had met in Madrid the summer before. At the time, Lorca had been in the United States for only eight weeks and had not left the greater New York area. From the moment of his arrival by steamship on June 25th, he had been embraced by the city’s vibrant community of Spanish and Latin American expatriates, some of whom he already knew and all of whom were aware of his reputation as one of Spain’s most important young poets.1 These old and new friends were happy to serve as his intermediaries to the English-speaking world, allowing him to avoid learning more than a few words of the language himself. What we do not know is what prompted Lorca to make the long, solitary trip from Manhattan to northern Vermont without the support of his usual entourage of guides and interpreters. He was nervous about traveling alone and afraid of being unable to communicate if he got lost, but he mustered the fortitude to do it.2 He preferred the amenities and sociability of city life and had little interest in outdoor adventure, yet he headed off to a remote, rural part of the country with far more cows and trees than people. What made him willing to step so far outside his usual comfort zone? Lorca may have wanted to escape the heat and humidity of the city in August and been grateful for the chance to go anywhere else. He may have been curious to see northern New England and thought he might not get the chance again. He may have welcomed the opportunity to spend time with an American friend close to his own age who not only spoke Spanish, but also loved his poetry and had witnessed his celebrity in Spain. He may have been intent on resuming his sexual relationship with Cummings, who had been a willing and discreet partner in the past. I suspect that all of the above are true, but my research suggests that there was yet another reason behind Lorca’s decision to go to Vermont. It seems clear that the poet was still suffering from his rejection by the Spanish sculptor Emilio Aladrén Perojo a year before and longed for someone to fill the emotional gap in his life—a man he could love with his whole heart and, most importantly, who would return his love with equal interest and intensity. I believe that Lorca hoped Philip Cummings would turn out to be that man, the perfect life-partner he envisioned. Whether or not you agree with this interpretation, I hope you will continue reading as I lay out the reasoning behind my conclusions. In the posts that follow, I will show how the story of Lorca’s search for emotional fulfillment, and his deep disappointment on finding that Cummings could not provide it, emerges from a careful reconstruction of the events that occurred at Lake Eden, from new information about the people he met there, and from his letters to friends and family. In addition, I will present new evidence that links Lorca’s complex feelings about his experiences in Vermont to the poems he wrote during and immediately after his visit. I look forward to your feedback. 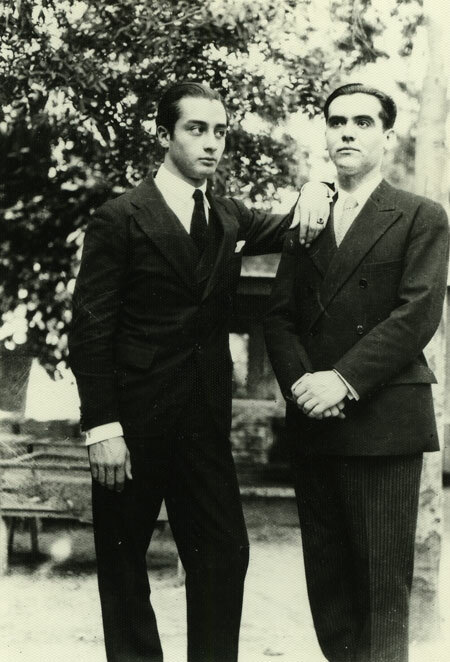 1 The list of Lorca’s greeters included Ángel del Rio, Federico de Onís, León Felipe, José Camprubi, and Gabriel García Maroto. For more about these men and their roles in the expatriate community, see: James D. Fernández, “The Discovery of Spain in New York, Circa 1930” in Edward J. Sullivan (ed. ), Nueva York: 1613-1945 (New York: New York Historical Society, 2010), 224-225. 2 Ángel del Río, “Introduction to Poet in New York: Twenty-Five Years After” in Federico García Lorca, Poet in New York, translated by Ben Belitt (New York: Grove Press, 1955), xv.